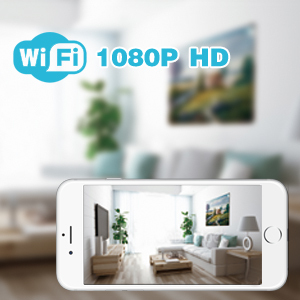 This Camera is equipped with high quality chip, offering 1080P HD clear live stream pictures and video. We are always dedicated to providing professional products and reliable service to our customers. ieleacc camera is concealed in what looks like a normal adapter. No LED lights while recording, so the camera won’t attract unwanted attention. This wireless camera can be used for both day and night. NOTE: The camera offers low-light-level night vision, can't see anything in complete darkness. You can plug in this wireless camera anywhere and it is totally not noticeable while the tiny secret camera is recording. 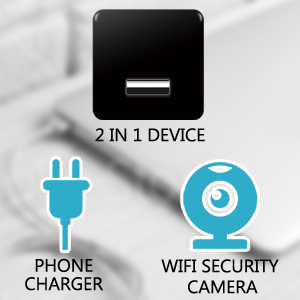 Also, it is a phone charger for best convenience. This hidden camera provides HD 1080P high-resolution video and image. You can see clearly what is going on at your home, at your office or at hotels while traveling. One mobile device can connect 8 cameras at the same time. Loop recording is defaulted to overwrite the oldest file with the newest when you use a SD card. 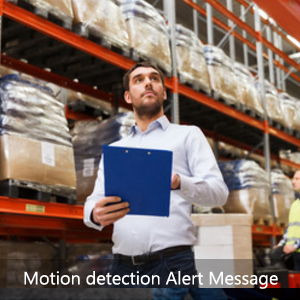 Intelligent Motion Detection. When motion is detected, the mini spy camera will start recording automatically and push the alarm message to your phone.